My mouth was watering when I wrote this. BBQ Fish (“Ikan Bakar” in Malay language, means BBQ Fish), in Sim-Sim Pasar (market), only a few KM away from Sandakan town, is probably one of the “must-try” food for people who come to Sandakan, and everyone who had tried it always give a thumb-up and come back again. It is a sin if I don’t share this with you. Pic: BBQ fresh seafood. They use charcoal so the grilled fishes have appetizing aroma. Sim-Sim Market is open from 8am to 10pm daily. Even in afternoon and at night, Sim-Sim Pasar is still a busy place coz of its famous tasty BBQ fish. There are a few stalls selling this food and many local people queue up and pick the fish they want. You just choose your fish and they will BBQ it over the charcoal for you on the spot. Depends on your liking, you may have something such as whole fish, fish tail, fish head and even BBQ shrimps. 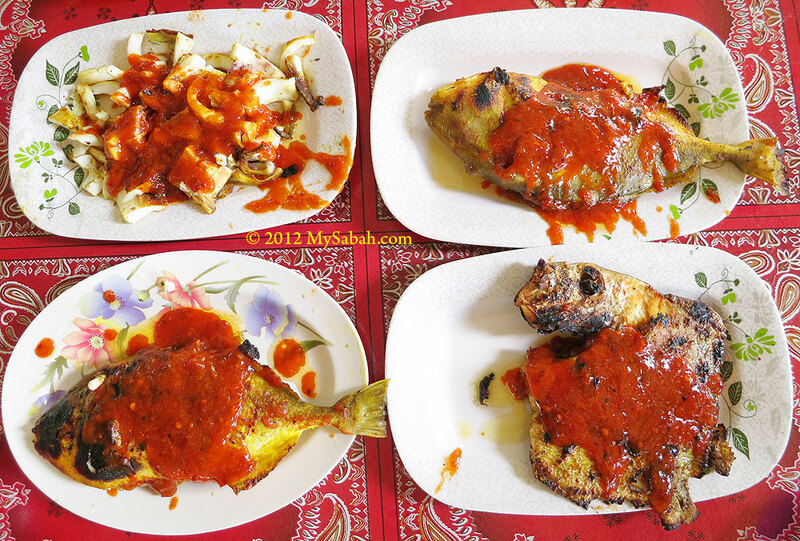 Note the BBQ fishes served with red sauce below, a recipe in Indonesia Bugis style. Depending on the size of the fish you order, the price ranges from RM5 – RM28 (USD1.70 – USD9.30). The great thing is – white rice and vegetables are included. No cut-throat 3-digit price there, unlike other seafood restaurants that show you the eye-popping bill after a happy meal. 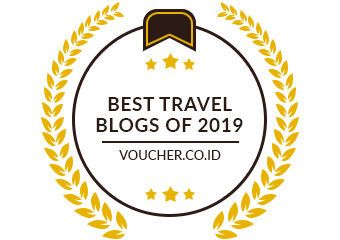 Sabah is famous for its seafood and the secrets of nice seafood is fresh, fresh, and fresh! They use bigger fishes and apply special sauce on the them during the BBQ. It looks yellow and I don’t know what it is, may be some spices that makes the fishes so tasty, in addition to the BBQ aroma. Spoon and fork are not given unless you ask. Try eating it with your bare hands is a more enjoyable experience. Rice is provided. For tourists who are not used to eating rice, you need to be careful with the fish bones. Just don’t chew rice and fish in your mouth at the same time. After the BBQ, the fish skin is harden a bit and hold the “juice” in the meat, so it doesn’t taste dry. I love spicy stuffs, so I always dip the meat in “sambal belacan”, a very hot shrimp paste. This further wet my appepite that I can eat 2 more plates of rice. Life is so beautiful with mouthful of fresh seafood. Pic: BBQ chicken and shrimps are also available. You are dripping now, aren’t you?